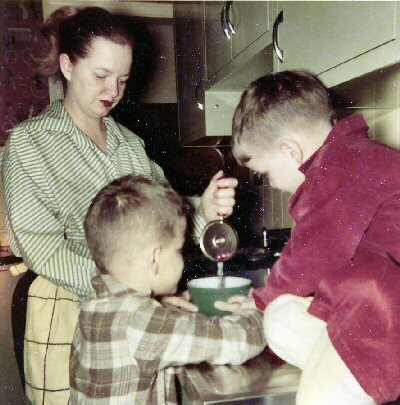 This is a site dedicated to my mother, Mike White. She lived a long and fruitful life, and throughout that long and fruitful life, she had a chance to work with and benefit many people. This site is a place for all of us who knew Mike to gather some of our memories of her. Mike White was born March 24th, 1917 and named Gertrude Anne Meyer. She hated the Gertrude and stopped using that as soon as she could to become Anne. But she loved her nicknames even more: first Mickey, later Mike. 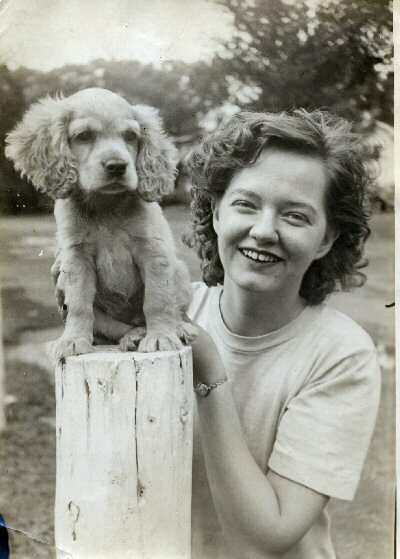 Mike in 1943 with her dog, Chippewa. Mike was a sickly child. She contracted osteomalitis, a bone disease that was usually a death sentence in her pre-penicillian youth. But her family hoped and tried what they could... and the doctors worked a miracle -- she was cured. As Mike liked to put it, "Mickey Mantle and I are the only two known survivors." In spite of her sickly childhood, Mike grew to be adventurous. As a teenager she loved roller coasters and considered parachuting into Lake Erie as part of a publicity stunt being hatched by a handsome adventurer she was friends with. Her father, Louis Meyer, put his foot down on that wild idea. Mike through the years. This is a montage of some of Mike's favorite pictures. She was briefly married to ________ but it didn't work out. When America joined World War Two in 1941, she wanted to do more for her country. She left the pharmacy and joined a startup company, Lewis Welding, that was making large steel parts for use by industry and the military. There she met Roger White. 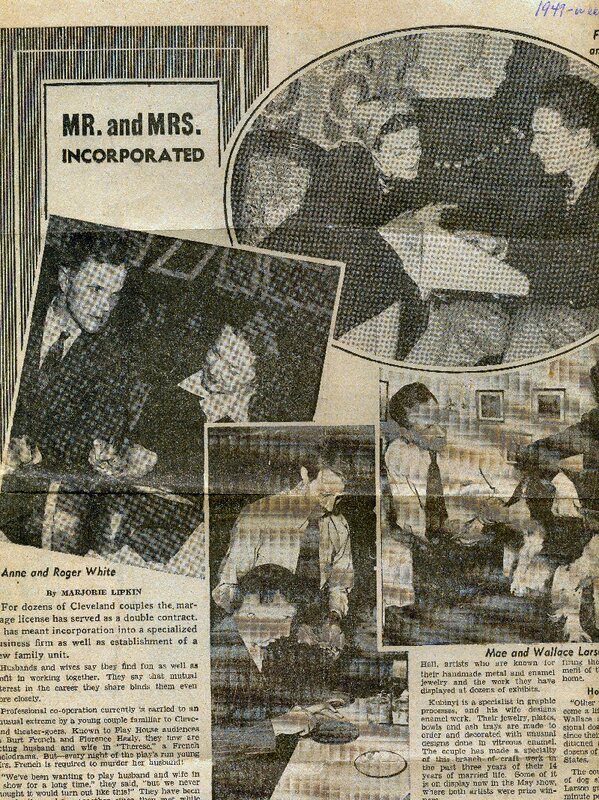 They married in _____ when Roger was launching his own startup company, Glastic, that made high-tech fiberglass parts used as insulators in the electric industry. Their honeymoon produced quite a story. Roger was planning on flying them to Oak Ridge, Tennessee to see some of the atomic bomb making facilities there (this was just after the finish of WWII), but he got lost flying over Kentucky. He landed in an open field to get directions. When he took off again, the plane crashed. He and Mike were not badly hurt, but the airplane trip to Oak Ridge was transformed into a bus trip from central Kentucky back to Cleveland. 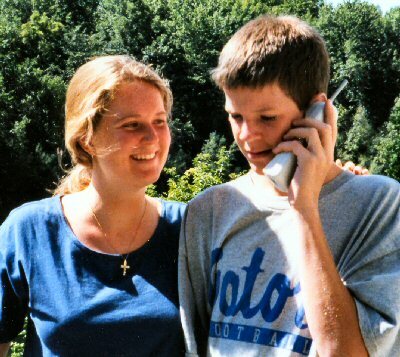 In 1948 her first child, Roger (Tom), was born; In 1950 her second child, Jonathan (Toby), was born. Mike lived with Roger in Shaker and Cleveland Heights. There the children grew up while Roger grew his high-tech plastics company, Glastic. Mike was the "good woman" behind Roger's "great man" in the post-World War decades. In addition to helping Roger with starting up Glastic, Mike grew her own reputation in the community by doing lots of volunteer work. She helped out regularly at St. Luke's hospital and was heavily involved in promoting cultural activities in the Cleveland area. 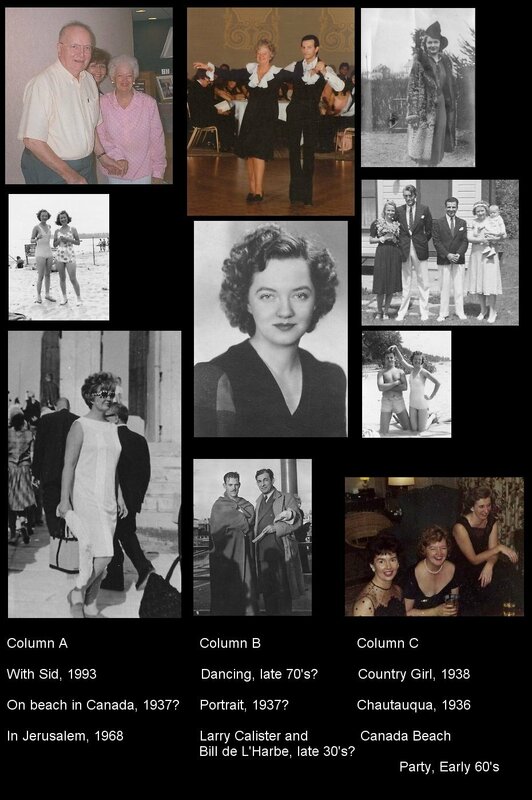 Her social life centered around the Cleveland Skating Club and the Mentor Yacht Club. Her trademark was a sunny optimism that was very contagious -- people always loved working with Mike. Mike did a lot to raise the family profile. This article in the Cleveland Plain Dealer is an early example. While she lived with Roger she did a lot of traveling. The family vacationed regularly by going north or west for skiing, and south for swimming and snorkeling. She and Roger also visited Europe and the Middle East. They were among the first Americans to be tourists in Russia as the Cold War started thawing in the 1970's. 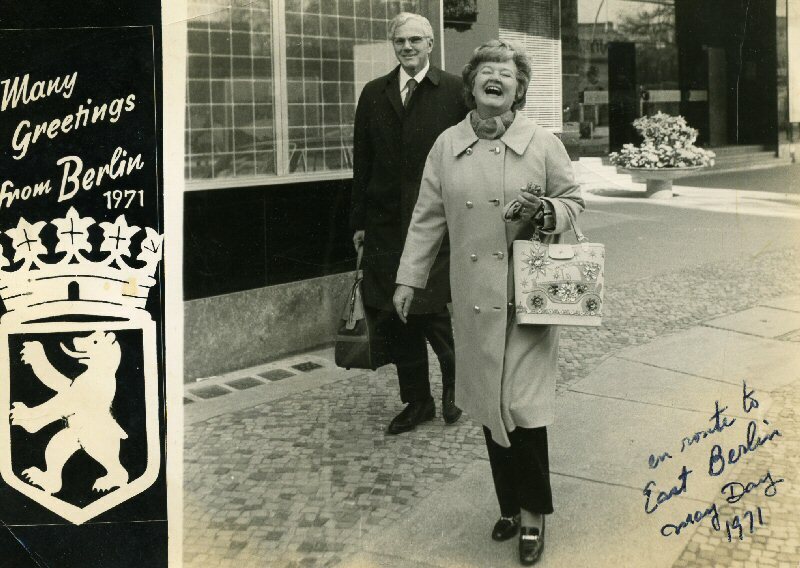 In 1972 her life underwent another dramatic change. She and Roger divorced. She became very close to Bob and Katy Cornell, and went through an annual migration with them between Cleveland, Ohio and Chitaqua, New York in the north and Del Ray Beach, Florida in the south. In this period she developed another great love of her life, dancing. Bob died in ________ and Mike and Katy lived together after that until Katy's death in __________. After Katy died, Mike continued her community involvement in the Del Ray Beach community until her death in November 2005. 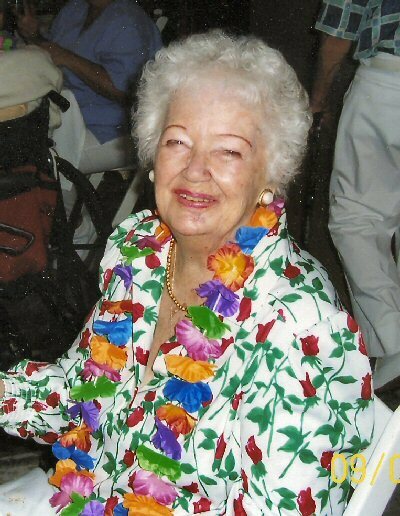 She is survived by her sons, Roger and Toby, six grand- and two great grandchildren. Other members of the Meyer family. 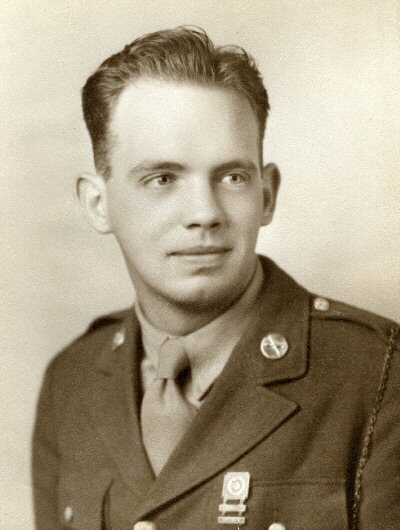 This is Hank, her brother, pictured in 1944. He landed at Normandy beach during D-Day, advanced into Germany, and became a salesman for Grandma's Molasses when the war ended. He died the same year Mike did. 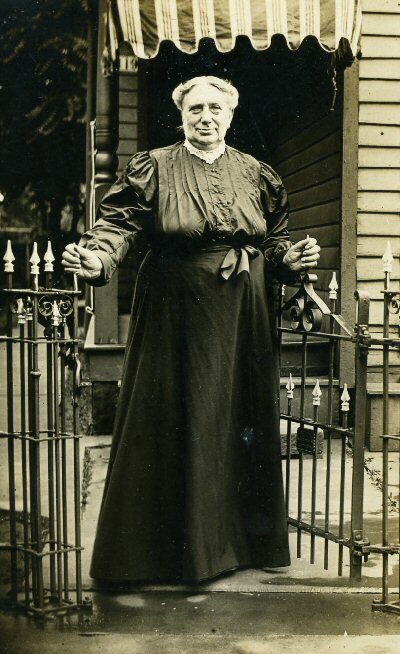 Grandmother Elizabeth Huntington Meyer. She sailed from Germany and spoke five languages fluently, including Greek. Captain Edward Enich Olday. 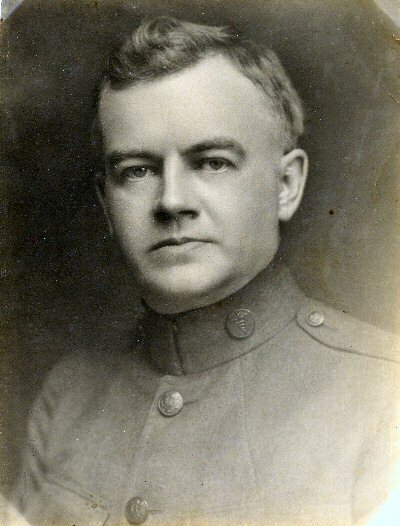 a half uncle of Mike's, pictured in his WWI uniform. He also wrote science fiction for pulp magazines; wrote some of the first stories about germ warfare. He married Anne from Kentucky, which is where the Anne in Mike's name comes from. 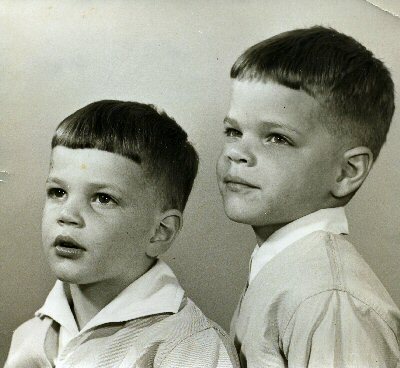 Sons Johnathan (Toby) and Roger (Tom), pictured in 1953. 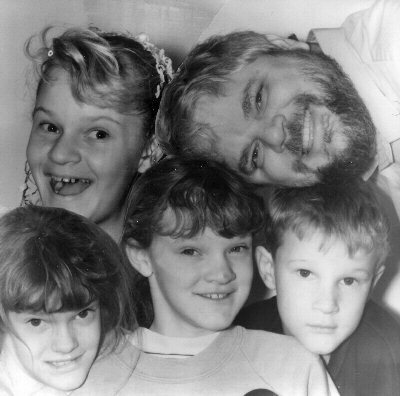 Son Roger and grandchildren Altair, Adrienne, Heather and Roger III pictured in 1991. Grandchildren Courtney and Chris pictured in 1997.